#WomenWritersFest: How Is It To Write Noir, Grey Edges Of Life? Our flagship event, The Women Writers Fest is coming to Pune! SheThePeople in partnership with Kala Kollective is hosting a day long festival filled with interesting panel discussions and workshops on the 8th September 2018. Location: Kala Kollective, Rajshree Vintage, near Patidar Bhavan, Ekbote Colony, off Shankersheth Road, Pune 411042. The Women Writers’ Festival 2018 is a celebration of women authors, with discussions focused on issues and themes concerning women. The festival puts the spotlight on gender issues, feminism, creativity and the narratives that women create in order to re-define and reclaim their space in our cultural biosphere. 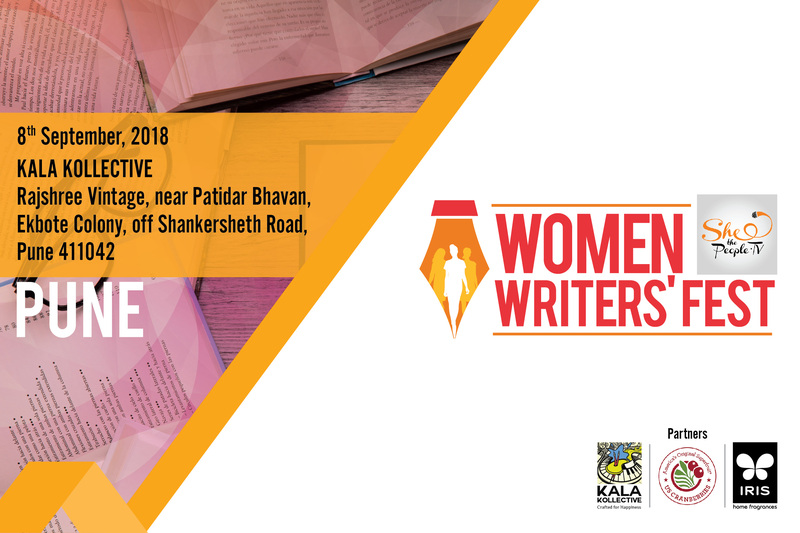 The Pune edition of the Women Writer’s Fest, curated by author Sudha Menon, Shaili Chopra and Kiran Manral will focus on creative writing, gender in the digital age, how to engage on social media and more. Prominent authors and writers such as Sowmya Rajendran, Leena Sohoni, Uma Kulkarni, Sudha Menon,Tanushree Podder, Sucharita Dutta Asane, Swati Shome, Pervin Saket, Archana Pai Kulkarni, Lalitha Suhasini, Anjali Shetty, Yamini PB, Swati Raje and Vibhavari Deshpande will participate in panel discussions. The event will also see women from other creative spaces including , RJ Shubhra, RJ Sho Sho Shonali, RJ Smita & RJ Tia, stand-up artists Aayushi Jagad, Sweta Mantrii, Niki Ray and story tellers Kakoli Bagchi and Seema Gaurav take the stage. A session on the role of indie bookstores and their transformation into cultural hubs will feature Pagdandi bookstore’s Neha& Vishal Pipariya and Akshardhara’s Ramesh & Rasika Rathavdekar talking about their initiatives. The power-packed discussions will encompass conversations on regional language literature, women writing noir, love, and lust in literature, indie bookstores as cultural hubs, the power of the voice with radio jockeys, women stand-ups and the issues they choose and writing through the gendered lens. Apart from these, there will also be a workshop on writing your novel and getting your first draft done, as well as a storytelling session. And much more. Fierce and Fearless conversations. Many panel discussions, writing workshops, open mic conversations. This festival aims to focus the dialogue on women writers who are breaking new ground in content, style, and storytelling. The panel discussions at the Writers’ Festival will bring up these issues and much more, with pre-eminent writers. 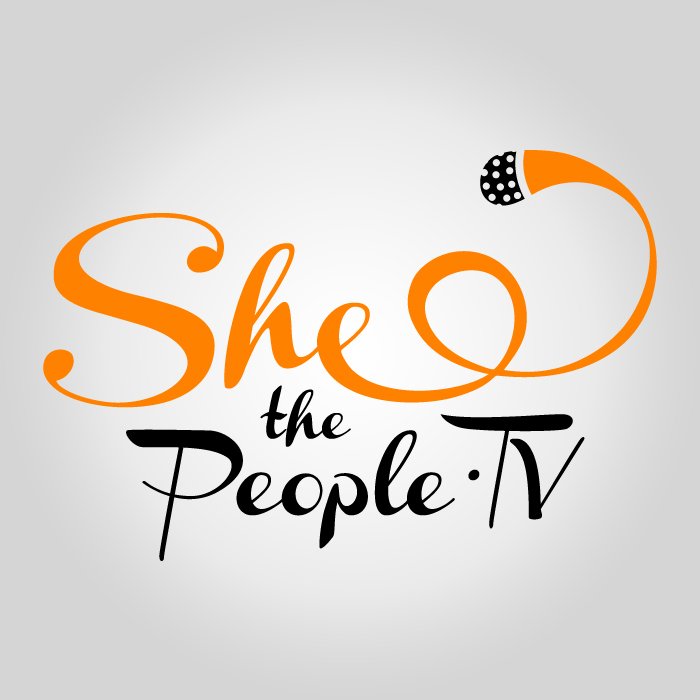 SheThePeople is India’s first women’s channel inspired by real stories and seeks to change the discourse on, about and for women. Fierce and firebrand, it’s a platform for stories of women breaking new ground as entrepreneurs, writers, authors, feminists, mothers, doctors, actors, artists, leaders, activists, homemakers and others who shatter glass ceilings in every sphere of life. Topic: The changing paradigms in regional language literature. Topic: Life is a laugh. Scripting their way to being stand-up comics. Kala Kollective, Rajshree Vintage, near Patidar Bhavan, Ekbote Colony, off Shankersheth Road, Pune 411042.